In 1808, the British began the Great Trigonometric Survey of India to determine the location and names of the world's highest mountains. Starting in southern India, the survey teams moved northward using giant 500 kg (1,100 lb) theodolites (each requiring 12 men to carry) to measure heights as accurately as possible. They reached the Himalayan foothills by the 1830s, but Nepal was unwilling to allow the British to enter the country because of suspicions of political aggression and possible annexation. Several requests by the surveyors to enter Nepal were turned down. The British were forced to continue their observations from Terai, a region south of Nepal which is parallel to the Himalayas. Conditions in Terai were difficult owing to torrential rains and malaria—three survey officers died from malaria while two others had to retire owing to failing health. Nonetheless, in 1847, the British pressed on and began detailed observations of the Himalayan peaks from observation stations up to 240 km (150 mi) away. Weather restricted work to the last three months of the year. In November 1847, Andrew Waugh, the British Surveyor General of India made several observations from Sawajpore station located in the eastern end of the Himalayas. Kangchenjunga was then considered the highest peak in the world, and with interest he noted a peak beyond it, some 230 km (140 mi) away. John Armstrong, one of Waugh's officials, also saw the peak from a location farther west and called it peak 'b'. Waugh would later write that the observations indicated that peak 'b' was higher than Kangchenjunga, but given the great distance of the observations, closer observations were required for verification. The following year, Waugh sent a survey official back to Terai to make closer observations of peak 'b', but clouds thwarted all attempts. In 1849, Waugh dispatched James Nicolson to the area. Nicolson made two observations from Jirol, 190 km (120 mi) away. Nicolson then took the largest theodolite and headed east, obtaining over 30 observations from five different locations, with the closest being 174 km (108 mi) away from the peak. Nicolson retreated to Patna on the Ganges to perform the necessary calculations based on his observations. His raw data gave an average height of 9,200 m (30,200 ft) for peak 'b', but this did not consider light refraction, which distorts heights. 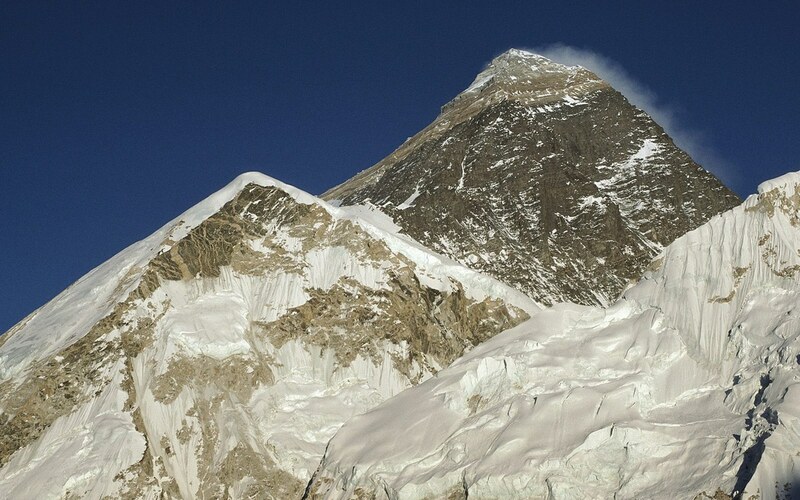 The number clearly indicated, however, that peak 'b' was higher than Kangchenjunga. However, Nicolson came down with malaria and was forced to return home, calculations unfinished. Michael Hennessy, one of Waugh's assistants, had begun designating peaks based on roman numerals, with Kangchenjunga named Peak IX, while peak 'b' now became known as Peak XV. In 1852, stationed at the survey's headquarters in Dehradun, Radhanath Sikdar, an Indian mathematician and surveyor from Bengal, was the first to identify Everest as the world's highest peak, using trigonometric calculations based on Nicolson's measurements. An official announcement that Peak XV was the highest was delayed for several years as the calculations were repeatedly verified. Waugh began work on Nicolson's data in 1854, and along with his staff spent almost two years working on the calculations, having to deal with the problems of light refraction, barometric pressure, and temperature over the vast distances of the observations. Finally, in March 1856 he announced his findings in a letter to his deputy in Kolkata. 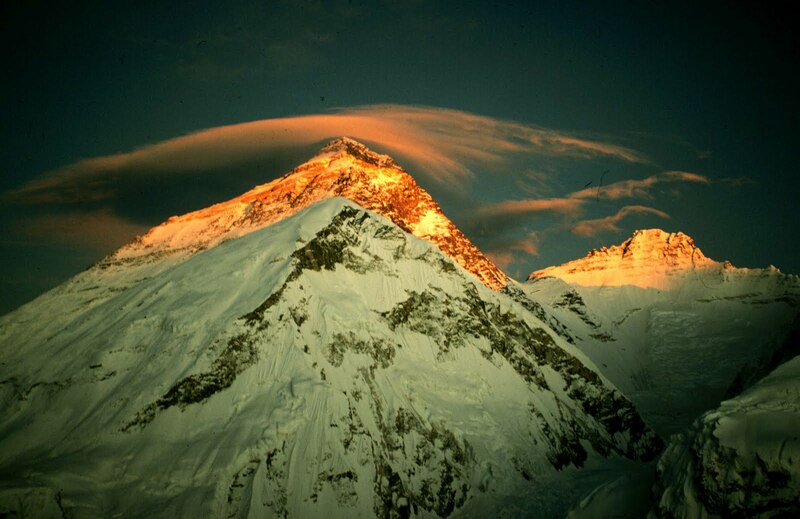 Kangchenjunga was declared to be 28,156 ft (8,582 m), while Peak XV was given the height of 29,002 ft (8,840 m). Waugh concluded that Peak XV was "most probably the highest in the world". Peak XV (measured in feet) was calculated to be exactly 29,000 ft (8,839.2 m) high, but was publicly declared to be 29,002 ft (8,839.8 m). The arbitrary addition of 2 ft (61 cm) was to avoid the impression that an exact height of 29,000 feet (8,839.2 m) was nothing more than a rounded estimate.